for a little extra glamour... go with high gloss- its showstopping, no? I love the bathroom from Lonny ! That wallpaper is amazing and I love the high gloss in the last photo ! LOVE. 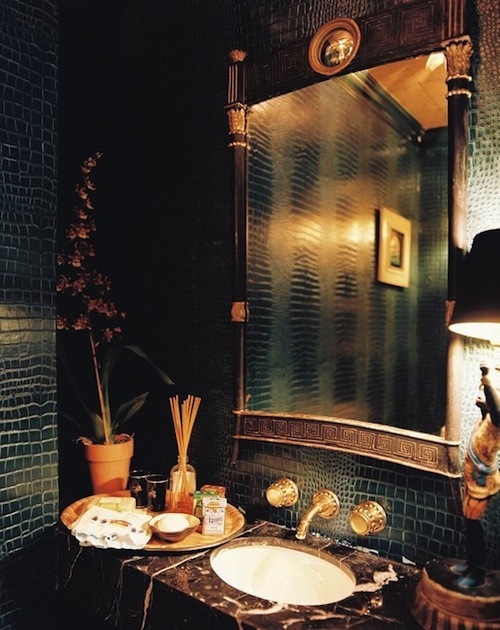 Black any where is amazing, but in a small bathroom it is nothing but GLAM!! oo, i love the black with the gold mirror and pink flowers! gorgeous and so daring. Loving the inspiration here. We went for black in our bedroom recently and it works so well! 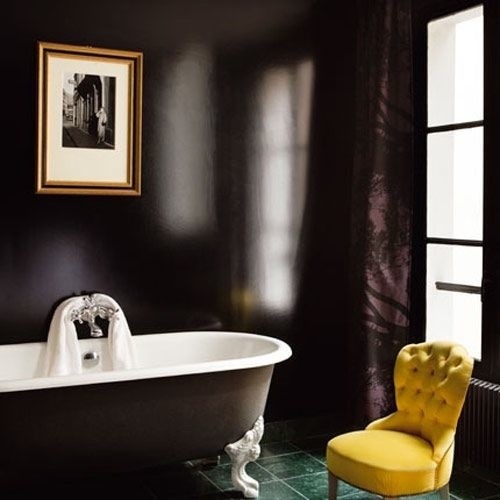 I love black in bathrooms - especially powderrooms on the first floor of a house - there is a chicness about them. However, I do think it needs to be a chic house or flat - not just any old house. 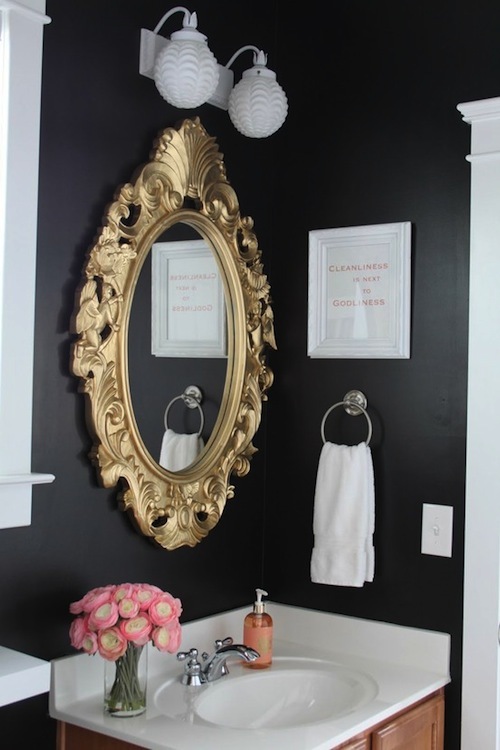 you know, I was always afraid of black in a bathroom but it looks so classy! do you know the color of the high gloss black? 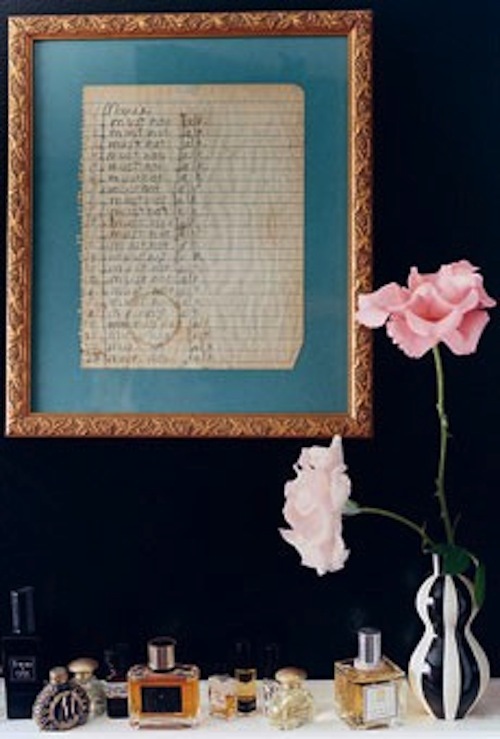 anonymous - I'm not sure the exact color that they used, but I used Martha Stewarts "Silhouette" Black in high gloss on my walls and it turned out beautifully. I love your blog. I'm your fan!